100% of the donations that we receive are used for the support of the Lord’s Servants Home, Child Redeemed Mission Home, special projects, or disaster relief. This is God’s money provisioned for His purpose. Mission Servants Ministry is a 501(c)(3) non-profit organization recognized by the I.R.S., and all contributions are fully deductible for federal income tax purposes. See our disclosure statements. INDIVIDUAL CHILD SPONSORSHIPS: Sponsors of a child not only help us provide a safe home, care, and education but equally as important, they are someone special that the kids know are praying for and loving them from a distance. Sponsors make an impact!! Click here for information on individual children Kenyan Children Needing Sponsors, Ugandan Children Needing Sponsors. Please use the various buttons below to direct your donation. Please use the memo feature to denote a specific sponsored child or use of your gift. To donate to the Mission Servants Ministry Generally. 100% of your donation will be used in the ministry area of highest need. To donate to the Lord’s Servants Home Specifically. 100% of your donation will fund operating expenses, child health and school expenses, and improvement projects. To donate to the Lord’s Servants Academy Specifically. 100% of your donation will fund a scholarship for needy local children and enable them to attend the academy and receive a great education and daily meal. 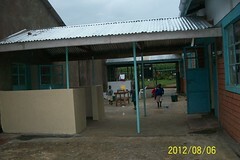 To donate to the Child Redeemed Mission Home Specifically. 100% of your donation will fund operating expenses, child health and school expenses, and improvement projects. To donate to the Young Adult Fund Specifically. 100% of your donation will fund school fees, training expenses, and needs of our young adults.